Tract# 1 --- 65.2 Acres with a 30' Access Easement on Scoggins Road. This parcel is primarily wooded with an open field currently enrolled in the CREP Program. There is also a 1 acre Radio Tower Site that generates $665/month in income. Excellent opportunity to purchase a hunting tract with 2 sources of income. Tract# 2 --- 90 Acres with 410 Feet of Road Frontage on Ky. Hwy 185. This tract has something to offer most everyone. A fantastic building site that is sure to satisfy with a stately setting and view for miles. This tract is offers open grassland, an assortment of wooded and open areas with various elevations, a flowing creek, a pond with a unique sandstone bottom, CREP Income and hunting and recreational appeal for years to come. This tract is well know by many as the Cave Farm because of the well known Pruett Saltpeter Cave that is located on this tract. There are 2 entry ways into this cave on the property and it has been a favorite attraction for many locals and spluenkers from miles away for many generations. The Cave Farm also offers a fertile valley ideal for pasture, hay production or crops and the hills are covered in hardwoods. A portion of the open ground is currently in the CREP Program and is income producing. A great tract of land with a mixture of openland and woodlands and a 42X32 tobacco barn and a flowing creek. Includes a well constructed 1900 sq. ft brick residence offfering 3 bdrms, 2 baths, eat in kitchen, formal dining room, brick fireplace and a spacious layout. The home was custom built in 1965 by its current owners and would be worth viewing if you are in the market for a country home. 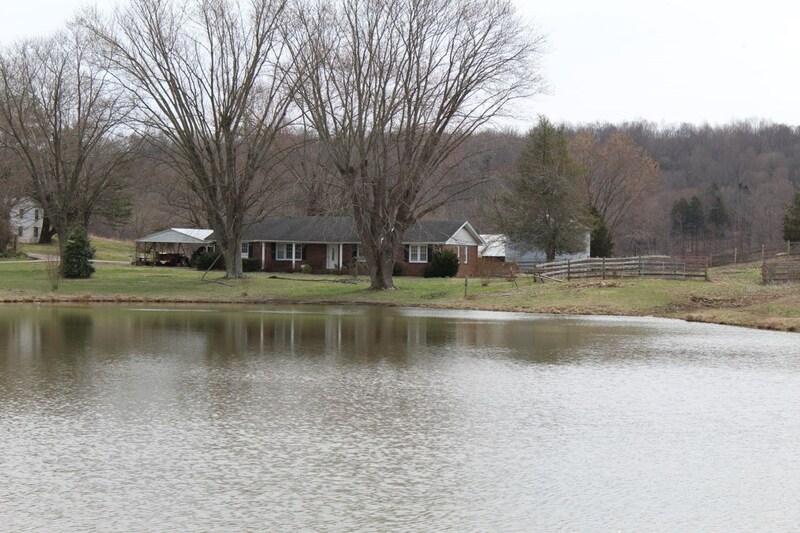 This tract also includes a large stocked pond, and a mixture of pasture and woodlands. Additional structures include a Combination Horse Barn, Equipment Shed & Shop building: 60’ X 34’, 30’ X 86’, 40’ X 38’. This tract has much to offer its new owner. A hard find with a great location. Excellent building tract for your new home. Sites suitable for a basement. A mixture of pasture and woodlands and a flowing creek. Tract# 6 --- 0.94 Acres 8658 Ky. Hwy 185. 3 bdrm. 1 bath rental home built in 1919. This home offers approx. 1400 ft of living space, lot with mature trees. Home is currently rented for $575/ month. Great location in Warren County and only minutes to downtown Bowling Green, Ky. Terms & Conditions: Real Estate: Terms: 10% down day of sale balance due no later than May 20th, 2019. Possession will be given at closing. Rental home to be conveyed with tenants rights. 2019 real estate taxes prorated at closing. A 7% buyers premium will apply to the Real Estate. Real Estate is selling "As-Is" and subject to all easements and restrictions, recorded and unrecorded. The homes were built prior to 1978 and an opportunity to test for lead base paint is offered prior to sale day; a waiver is required to be signed if you are the winning bidder. We encourage your personal inspections and due diligence, prior to bidding. There are no pre-sale or post-sale contingencies, including financing, appraisals or inspections. Anyone purchasing land which is enrolled in the CREP Program must agree to accept the remainder of the CREP Contracts. A General Warranty Deed will convey property by current legal description. Personal Property Terms: A 10% buyer’s premium will apply. Cash or good check day of sale. Announcements made sale day take precedence over advertisements.